Dr. Patel provides top-level preventive, cosmetic, and restorative services so you can smile confidently. Click on each service to learn more about our Nashville dental services. 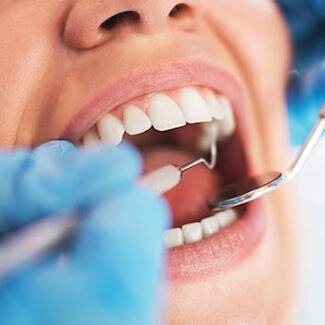 Regular dental checkups are essential to keeping your oral health in good shape. During your exam, Dr. Patel and his team will assess the health of your teeth and gums using a modern intra-oral camera to inspect your mouth. This innovative piece of equipment projects images from inside your mouth onto a computer screen, so you can see what we see. 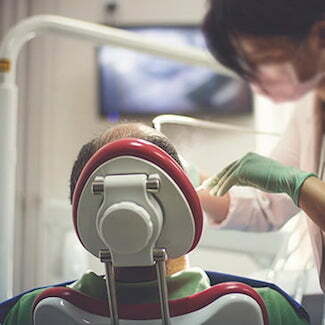 Because we care for your whole health, you will undergo an oral cancer screening using Velscope. We use these modern techniques to catch any early signs of cancer or disease, so we can prevent any serious problems. Brushing and flossing your teeth daily is vital to maintaining a healthy smile, but even with a solid routine, food or debris can get missed. This is especially true for our younger patients, where reaching every tooth can be difficult. 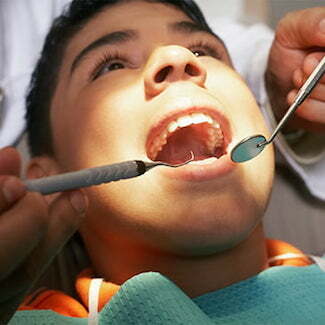 To help with this, Dr. Patel offers sealants as part of his family dentistry in Brentwood, TN. A sealant is a clear gel that fills in gaps or grooves on the tooth, preventing food and debris from becoming stuck and leading to plaque and decay. Sealants involve a simple procedure in which Dr. Patel applies a clear plastic coating to your teeth and solidifies it with a special light. 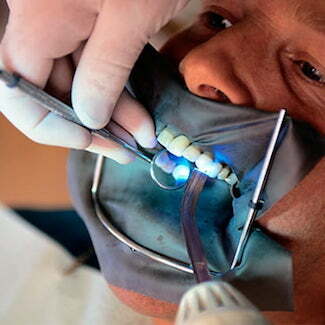 Once the sealant has hardened the tooth functions as normal. Fluoride is an important key to maintaining oral health. Without enough fluoride, your teeth are more at risk of decay and plaque build-up. To help re-establish your fluoride we offer a quick treatment that involves applying a fluoride solution or gel to your teeth. Fluoride treatments are safe and non-invasive and a great way to protect your teeth and maintain optimal oral health. Many people suffer from tooth discoloration, stains, chips, gaps, or similar cosmetic issues. These aesthetic issues can not only affect your teeth but your confidence too, which is why Dr. Patel offers prepless veneers. These thin porcelain coverings are placed over the top of your current teeth and are bonded. Prepless veneers are slightly different than traditional veneers because they don’t involve filing down your current teeth. This means the procedure is reversible. 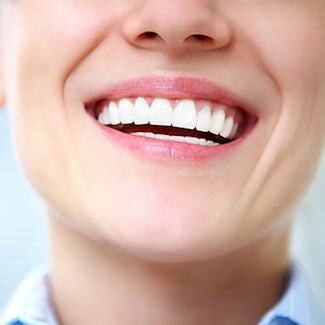 Veneers are a wonderful choice for those wanting to straighten, brighten, or even whiten their smile. Losing a tooth can be distressing and, if left untreated, could have a detrimental effect on your health. With dental bridges, Dr. Patel can replace your tooth in very little time and restore your smile back to full health. A bridge consists of a custom-made CEREC® crown anchored into place by the two adjacent teeth. This procedure is performed by cleaning the area of the missing tooth and making sure the natural teeth on either side are healthy. The custom crown is then placed and cemented to the natural teeth, anchoring it in place, leaving you with a beautiful smile. When your tooth or teeth become decayed, chipped, broken, or fractured, you not only want to repair them but you want them to look attractive too. Dental bonding can help with this. It is a tooth-colored resin applied to the affected teeth and then hardened using a UV light. This coating is shaped to cover any imperfections and leaves you with a sensational looking smile. This treatment is fast, effective, and painless. It is a great choice for those wanting an aesthetically-pleasing smile. If your tooth becomes badly damaged or infected, the only way to save it may be through a root canal. This procedure is used when a cracked tooth or dental cavity affects the inside of your tooth (the pulp). A root canal involves removing the infection or damaged area of the tooth, cleaning it, and then disinfecting it. Finally, Dr. Patel will fill and seal the tooth using a filling or crown. In the past, root canals were painful, but with dental advances and sedation dentistry, this is no longer the case. You can restore your tooth with very little discomfort if any at all. Your fully-trained restorative dentist uses tooth-colored fillings to restore teeth that have become damaged due to decay or trauma. Rather than use outdated amalgam (metal) fillings, Dr. Patel uses composite fillings that mimic your natural tooth. This makes these restorations discreet yet very effective. Fillings are simple to place, durable, and long-lasting. Your dentist will clean the affected tooth and use the composite resin, which will harden to protect the tooth from any further decay or infection. This restorative treatment is neither invasive or uncomfortable. Unfortunately, our natural teeth do not last forever. If you have lost the majority of your teeth, dentures may be the best option for you. There are two common types of dentures: partial and full. As the name suggestions, partial dentures fill in the gaps where multiple teeth are missing. Whereas, full dentures are fitted when all teeth are missing on either the upper or lower jaw. 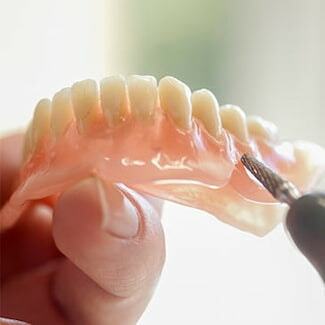 Dentures are removable and can be cleaned as normal teeth. They are natural-looking and comfortably fit into your mouth. Each denture is custom-made and provides you with a beautiful, functional smile. Are you looking for a permanent solution for your missing tooth? Then dental implants could be for you. This modern treatment allows Dr. Patel to restore your smile to its healthiest best. A dental implant consists of an artificial post, which is placed into your jaw to mimic a tooth root. Next, your restorative team creates a custom-made crown to be placed on top of the implant. Dental implants return the functionality and look of your tooth. They can be cared for just like normal teeth and are very durable and long-lasting. Speak with Dr. Patel to find out if you are a candidate for implants. Night guards: These mouthguards are to be worn at night and can help with many dental treatments such as teeth straightening, temporomandibular joint disorders, and sleep issues. Sports guards: The American Dental Association recommend wearing mouthguards when playing sports. Our sports guards protect your teeth from trauma associated with a number of sports. If you get nervous about visiting the dentist or struggle to sit still for a long period of time, sedation dentistry can help you! This innovative treatment uses sedation techniques to make you relax, eliminate discomfort, and make your dental visit fly by. All our sedation options are safe and we stay with you throughout your treatment. Come Visit Us at Nashville Dentistry Co. Where People Matter Most! Using a modern approach to dentistry. It has long been our aim to provide convenient dentistry that produces amazing results. With CEREC®, you get both. This advanced software allows Dr. Patel to design and create high-quality crowns, bridges, veneers, and more during a single visit. Same-day dentistry has arrived! Dentistry is both an art and a science. With microscopic dentistry, we are able to screen you for harmful bacteria and periodontal (gum) diseases by assessing your plaque and saliva. Dr. Patel will take a saliva sample and analyze it under a microscope, looking for any issues that could result in oral or systemic health problems. 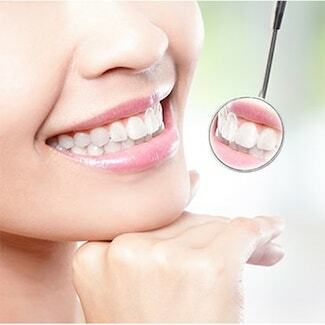 Imagine being able to attain straight teeth without any metal and fewer dental appointments. With Invisalign® that is the reality! This clear aligners system uses removable trays to gradually move your teeth into their desired position. Both teens and adults can benefit from this discreet and comfortable solution. Don't Just Imagine Your Great Smile - Achieve It! Take the first step and book your appointment or learn more about our unique team.